Human history has been running in a long journey of evolution from a Cave man to creating a high-tech society of today. One thing that has never left us in this journey of Evolution is fear and more prominently, the fear of innovative things created by our own human brain. The pioneer of various technologies in the making of modern world had to go through huge resistance and Criticism in their time and age in contrast to many of such technologies has been considered Blessings for human life at current stage. In today’s industrial world, we have branded such innovation as disruptive technology. Collaborative robots aka ” cobot ” are considered as the new disruptive technology in industrial world. 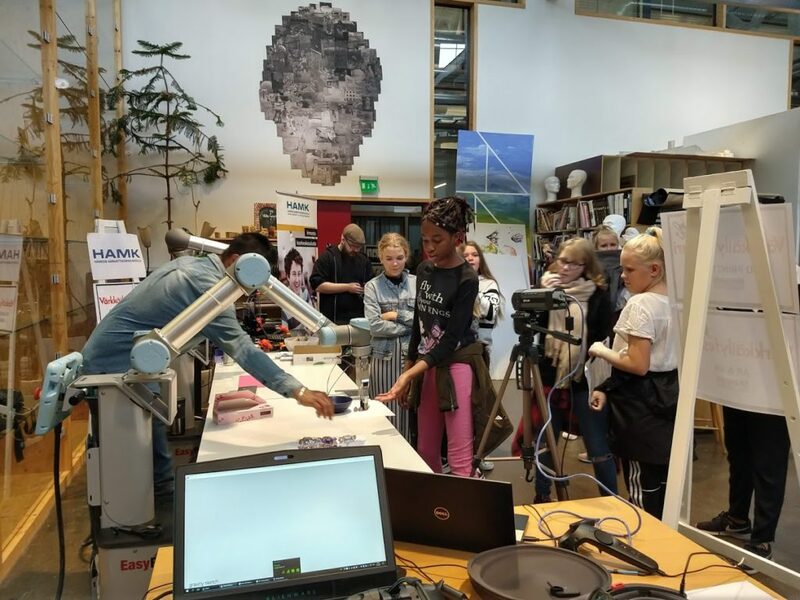 Cobots are the specifically designed robots for human robot Collaboration. They have a new dimension of opportunity to increase productivity in industrial world and make an impact in various sectors. One thing that we have to make sure is that people and industries should have easy access to such technology. Local Universities and Schools are the best resources for acting as Mediator for bringing the new technologies at your doorstep. 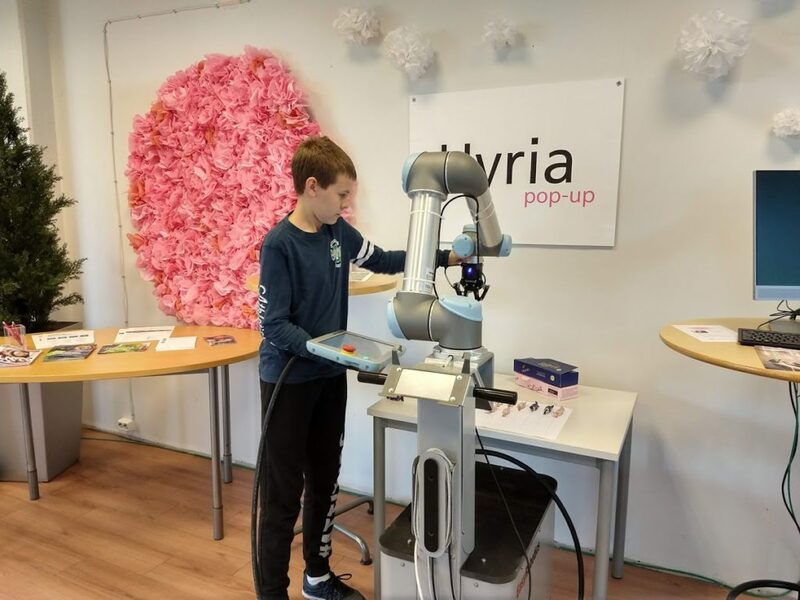 Fig: A young pupil learning how to program a cobot in an event organized by Hyria and HAMK. What makes cobot a disruptive technology? The ease of using cobots and security features that comes equipped with them makes it a human friendly tool that gives the cobot user the freedom to look for the task that is monotonous and unhealthy to them and the chance to automate and increase productivity in their task. The main point of the cobot is to empower the employee in an industry to look for unhealthy and monotonous task, automate it, and reserve more mindful and smart tasks to themselves. 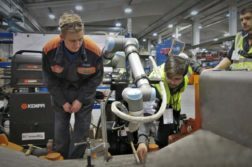 Should humans be fearful of cobots? Once a disruptive technology enters industrial world, it surrounds fear in human being either being afraid of losing jobs or fear of takingover. Not long ago when mobile phones came in the market, people fear the postal service is gone, but now we see the new dimension of the work of postal service and thriving. In the case of cobot, it is the same thing once we start working with it, we will discover new dimension of our importance and value. Most importantly, we should be willing to discover and learn to use such tools. It is as simple as learning to use smart phones that came as disruption to old handsets of Indestructible Nokia. How to get head start in cobot’s technology?